This package includes Paperback and Writer's Help. What defines a monster? Evaluate central concepts around this theme through readings from classic poets, contemporary fiction writers, pop culture critics, philosophers, psychologists, occultists, veterinarians, ethicists, historians, and others in Monsters. This text helps you make sustained inquiries from multiple perspectives around this topic, allowing you to focus the subject matter of your writing. Ch. 1 Why Do We Create Monsters? Ch. 2 Is the Monster Animal or Human? Ch. 3 How Do Monsters Reflect Their Times? Ch. 4 What is the Attraction of Monsters? Ch. 5 Is the Monster within Us? 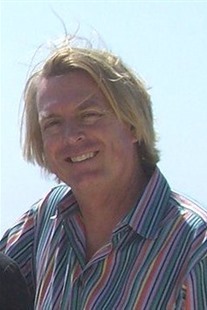 Andrew J. Hoffman is a Professor of English at San Diego Mesa College, where he teaches courses in grammar, composition, and British Literature. He received his B.A. in English from the University of California at Irvine and his M.A. from Syracuse University. 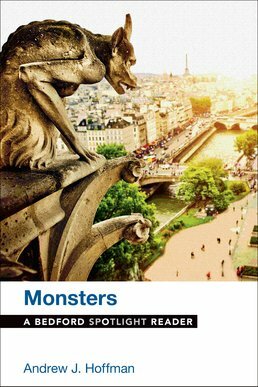 He is the author of Monsters, part of the Bedford Spotlight series, and has contributed to The Arlington Reader, Fourth Edition. In addition, he has authored, edited, or otherwise contributed to numerous other textbooks of grammar, composition, and rhetoric, in both traditional and online formats.